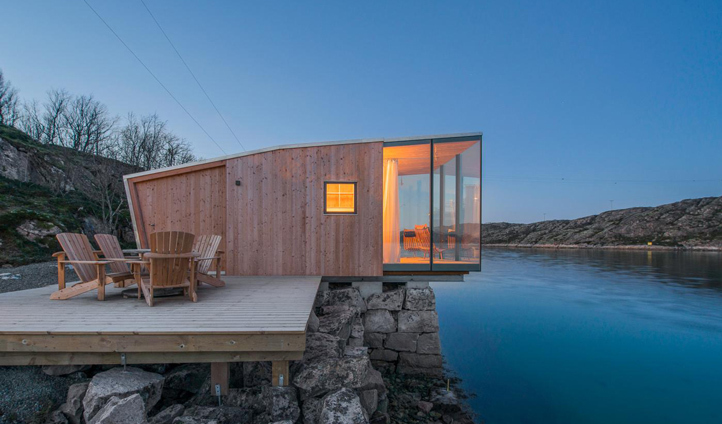 In the midst of the Grøtøya strait, Manshausen offers ultimate privacy. It’s just you and the wilderness on the island, with the nearest shops, bars and museums over on Nordskot. From the airport on Bodø island, it’s a scenic 1.5 hour ferry ride through one of the world’s most stunning landscapes to Nordskot. Then, just a quick boat transfer later and you’ve arrived on your private island. 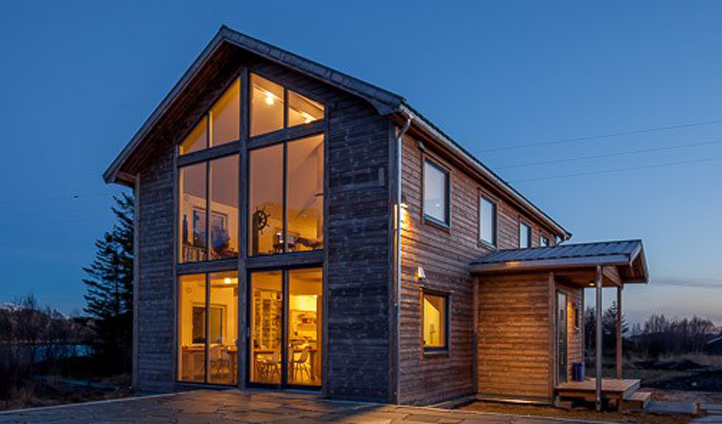 Remote, yet connected, the Main House is fully equipped with 3G wireless – so you can FaceTime friends and family and make them green with envy. The island offers a number of accommodation options, but the stand-out has got to be the gorgeous seacabins with their floor-to-ceiling glass windows. Jutting out over the water below, the four cabins each offer two bedrooms, a bathroom, a children’s alcove, a kitchen – and the best views you’ll ever wake up to. Other options include cosy alcoves in the Expedition Loft and the Little Red Hut on the far end of the island, which retains its original 1970s decor for an authentic feel.